When it comes to choosing the best place to meet your business partner or coworkers, you surely would want to pick the best meeting room with the best design right? Some people would even choose numerous hotels in Indonesia, such as budget hotels, big hotels with big names, and even business hotels. But, wouldn’t that be too expensive? Gladly for you, several coworking spaces in Jakarta provides these affordable meeting rooms. There are a lot of places in Jakarta to have a meeting. Usually, when we’re talking about business meetings, people would probably choose hotels that have a big name if they’re in Jakarta to show their prestige. These include hotels in Thamrin or other hotels surrounding Hotel Indonesia. Now think about this, wouldn’t it be a waste to book a meeting room in a hotel just to be used for a couple of hours? Besides, hotels are just meant to be booked for staying right? Surely there are nice hotels such as business hotels which are purposely made for people who have business inquiries, but again, that is highly pricey. Here are several meeting rooms in Jakarta, which is not only affordable but also located in strategic places. Looking for a meeting venue located in one of the most prestigious places in South Jakarta? Trying to impress your business partner or clients by showing that you could rent a meeting room in a high-end area? Well, this coworking space provides a meeting space unlike any other. Why is it unlike any other, you might ask? 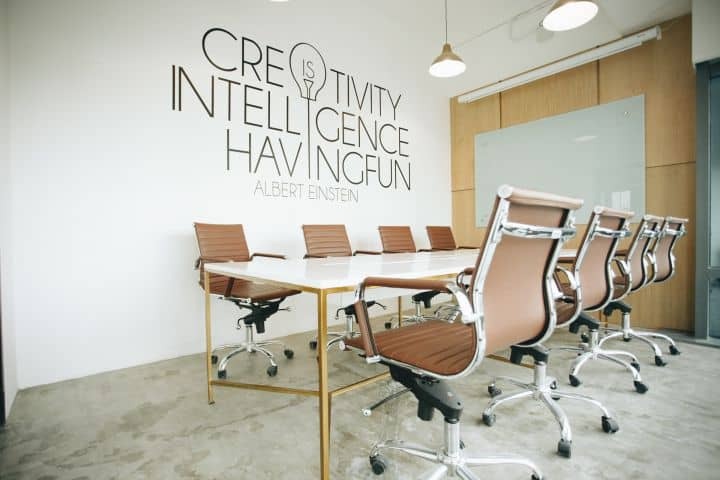 Simply put, this coworking space in south Jakarta really provides a meeting room design that is currently on point. Normally, you would find the nearest hotels in South Jakarta to do that, but even if you book a meeting venue in top hotels all around Jakarta, you wouldn’t get a meeting room which design is aesthetically pleasing, would you? Well, this newly opened coworking space in SCBD provides you with this beautiful design. So what other perks do this coworking space provide other than its design? First of all, those meeting venues are located in Pacific Place mall in SCBD (Sudirman Central Business District), therefore you only need to take around 5-minute walk to reach anywhere you want, thus providing convenient access to all your favorite restaurants. Looking for a strategic meeting venue in Kuningan where you are surrounded by booming startups, restaurants, a gym, and even a cinema. Yes, that’s right, a cinema. This coworking space in South Jakarta is located at Setiabudi Two, only a couple of steps away from Setiabudi One. Feel like taking your business partner out after a hard day of meetings? You could simply go to St. Ali coffee shop which is just beside this coworking space. The meeting spaces provided in Kuningan are suitable for all of you young entrepreneurs due to its artsy yet aesthetic design. Without a doubt, all of the meeting room there provides numerous benefits which range from not only high-speed internet connection, but also power outlets, LCD TV, and even free flow of coffee, you don’t really need to go to a coffee shop once you’re there. Another advantage of having a meeting here is that it is easily accessible if you’re using a TransJakarta bus since the bus stop is directly in front of the building. Due to traffic conditions, it is preferable to use the bus right? Besides, who doesn’t love an accessible venue in Jakarta? Especially for meetings, obviously you don’t want to be late, do you? Interested in looking for a meeting rooms in Kuningan? Perhaps, you feel like you don’t suit the artsy meeting rooms, what if you like a meeting room with a more serious identity without forgetting its state of the art design? Then these meeting spaces in Thamrin would suit you really well. The thing that makes this place really nice other than its design is that it has a centralized location, it is located in the heart of Jakarta, and so it has easy access. 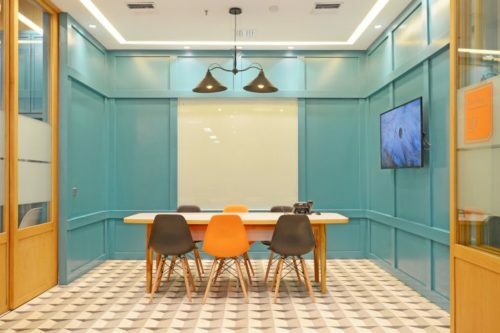 This coworking space in Thamrin has 2 floors located on the 8th and 9th floor, thus providing you with a lot of choices to pick your desired meeting rooms. The place is located in Chubb Square, which is just beside UOB Plaza. There are actually tons of ways to get there which makes it super accessible, either TransJakarta, KRL commuter line, and even a regular bus. It is even a few steps away from high-end malls like Grand Indonesia and Plaza Indonesia. Now, what if you’re tired after a whole day of meeting or working? Well, this coworking space is near to several hotels in Thamrin, Jakarta. Whether you’re looking for budget hotels, fancy hotels or just simple yet nice hotels, they’re all there. How about if you’re looking for other meeting rooms provided in Central Jakarta. 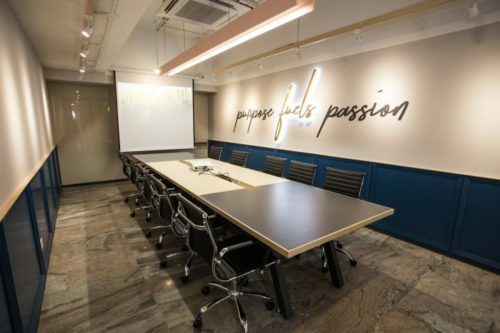 Currently, there is a coworking space in FX Sudirman which provides these state of the art meeting rooms. Moreover, it’s located near iconic locations like Plaza Senayan, GBK Stadium, and also the hip Senopati-Gunawarman area. It is the perfect place for young professionals, entrepreneurs, and freelancers to meet their business partner and even potential investors if you want to pitch your startup ideas. The fact that it is located inside a mall and near other several malls makes it very preferable as it is easy to find food after a meeting. Did we mention that there is Djournal Coffee right in front of the coworking space? GoWork provides you with several meeting facilities to support you during your meetings, such as the high-speed internet (like really fast internet), bottomless coffee/tea, LCD TV and many more. 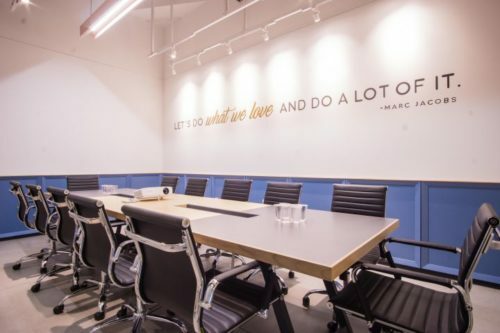 The simplest reason why these meeting rooms are so much preferable than the rest is because you don’t actually need to call the coworking space to book your meeting rooms. You simply need to download the application and register as a member in GoWork, very convenient, isn’t it?